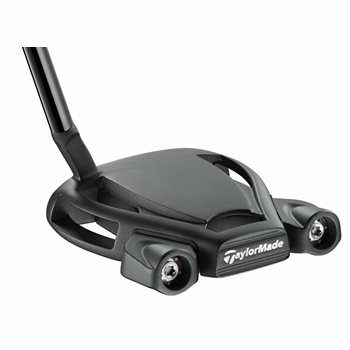 The TaylorMade Spider Tour Black putter was specially designed for Dustin Johnson, and now you too can use this premium and precise putter to shave some strokes off of your score. Redesigned with a smooth crown and no sight-line, the alignment system is clean and seamless. A short slant neck hosel, rarely found on high-MOI mallets, provide the player with expanded visibility of the face and toe hang. The Spider Tour Black has a firmer sound and feel than the Spider Tour Red, but both feature a lightweight body and stainless steel frame to increase MOI. The vibration-dampening PU foam provides a consistent sound and feel for every putt you take. Is this the putter with the black base or is it a red base? This is the black putter.